There’s plenty going on at M Shed at the moment. Henbury is in the shed being dismantled for overhaul. If you are visiting M Shed and would like to make a donation to help Henbury steam again, there is a donation box in front of the viewing window. All donations are welcome! The TOAD brake van, meanwhile, is outside the workshop receiving new boards and a lick of paint on the door. Much further down the line, Ashton Avenue Bridge is inside its cocoon, being repaired for use by MetroBus. 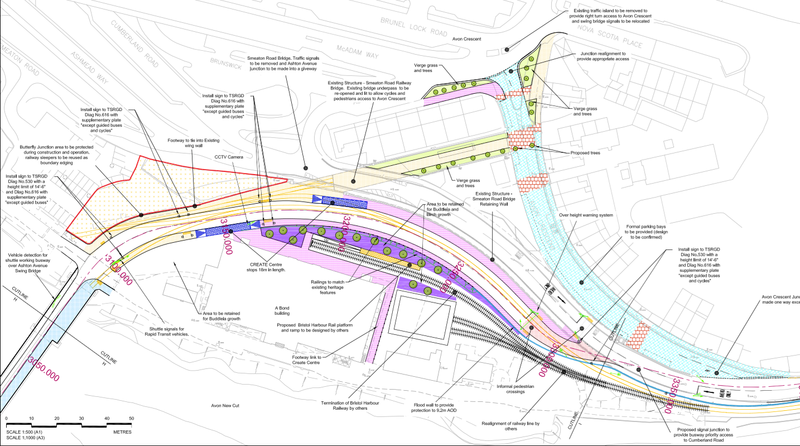 The above diagram (available via the MetroBus website) shows the intentional junction for the guided busway with Cumberland Road, and the re-routing of the harbour railway as a result. The large sweeping curve into Butterfly Junction is gone and replaced with a halt alongside the Bond Warehouse, whilst the ‘Barn’ is retained. This was the view this morning, the platform in the final stages of removal, and the pointwork rails removed. The track has been removed as far as the foot crossing to the chocolate path. Track lifting is well under way at Butterfly Junction, just the pointwork rails and the sleepers remaining in the station area. 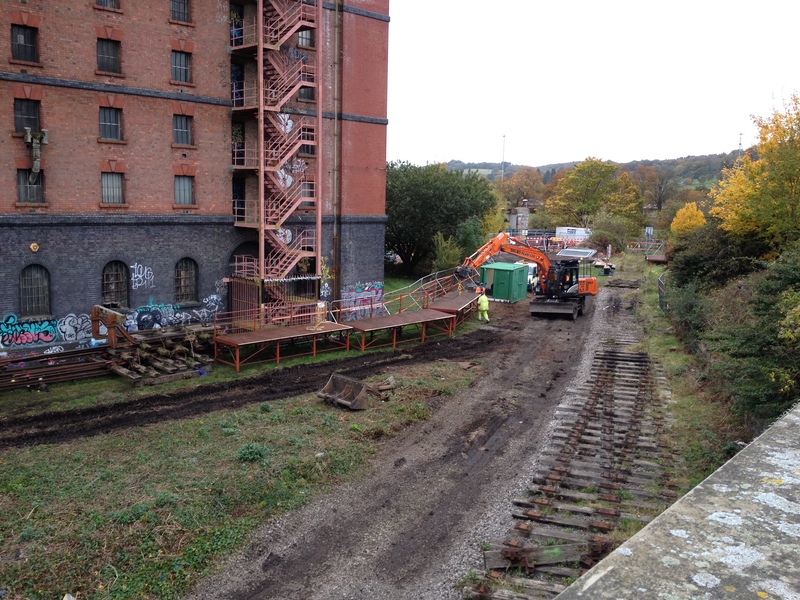 These photos also show the vegetation clearance that has taken place. 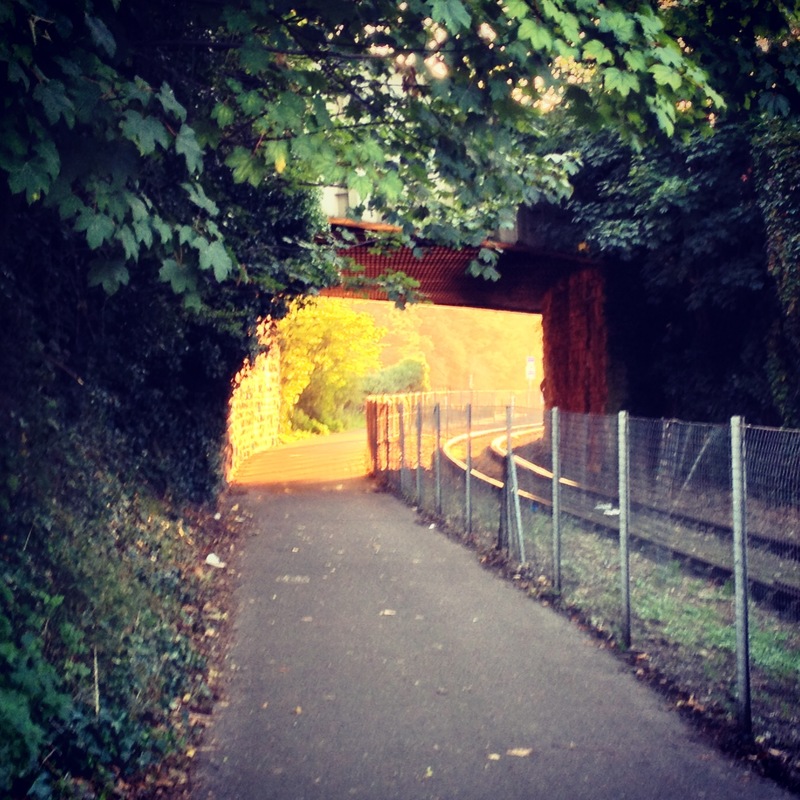 Ashton Avenue Bridge is now closed for refurbishment, along with the former trackbed. No doubt the rails still on the bridge will be coming out shortly. 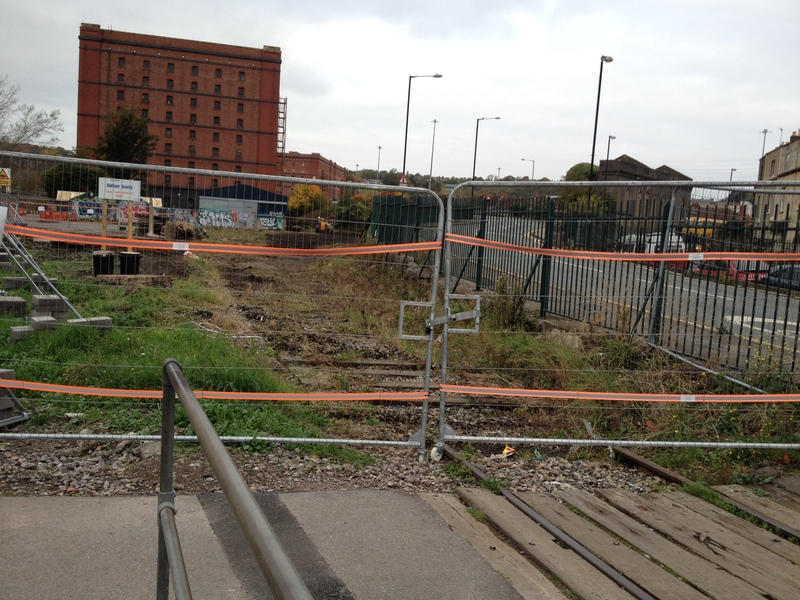 A different scene over at SS Great Britain Halt, where the buffer stop has been moved from the end of the line here. I believe that this is to be used as the basis for a small shed, which should come in useful if the branch along the New Cut is closed while MetroBus is under construction. After a particularly cold and wet summer, the weather has taken a turn for the better, giving us some glorious days and incredible sunsets. Here’s a (bad camera phone quality) snap I took of the golden sunset glimpsed beneath the Cumberland Road bridge. Up North, Portbury has been kept busy at Beamish. 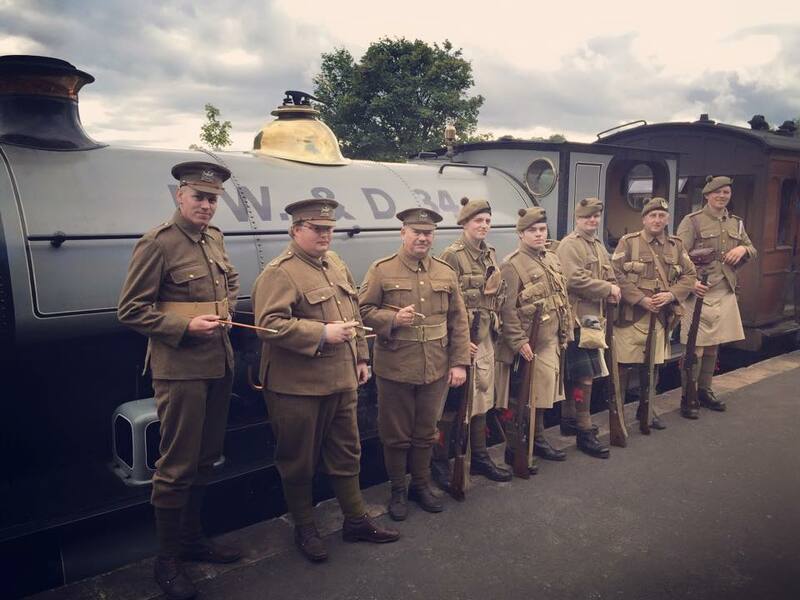 In this photo reproduced from the Beamish Museum facebook page, she is seen in the company of WW1-era Gordon Highlanders re-enactors at the Agricultural Show event. Back in Bristol, there have been multiple engineering projects in the railway’s environs. The Metrobus development has cleared a large area of land at Butterfly Junction and Ashton Meadows, and new drainage has been installed. One of the most conspicuous developments has been the ongoing repair work to Prince Street Bridge. This is adjacent to the platform at M Shed and has involved the construction of a large temporary bridge. The girders on the swing bridge are corroded and need replacing, so it will be closed to all traffic for 6 months. Also pictured is Kaskelot, a Bristol-based ship, taking the usual mooring point of Balmoral while the latter was at sea. In this first look at the changing face of the Butterfly Junction area, you can see the extensive clearance of foliage that has taken place. Surveyors have been working in the area over the past few weeks. Further down the line, the area around the Cumberland Road Bridge siding has also been cleared. The spare wagon wheelsets have been moved out of the way. The plans for the bridge indicate that the path here will be raised up to platform height in order to meet the new bridge. The planned Metrobus route, formerly the line to Ashton Meadows sidings, has been tidied up. The clearance has exposed the old permanent way huts, some sleepers, and electrical boxes. Metrobus, the guided busway project in Bristol, has now been given financial backing and construction is due to start in 2015. The busway scheme is set to use sections of the former BHR, joining at Ashton Junction (Going ‘up and over’ the Portishead Railway line on a bridge), then across the old sidings at Ashton Meadows, under the Cumberland bypass, then crossing the New Cut at Ashton Avenue Bridge. From here, it is intended that the buses take the route of the current BHR, joining onto Cumberland Road itself adjacent to the ‘West Yard’ throat. The Metrobus Website has published the aims for the refurbishment of Ashton Avenue bridge, the deteriorating condition of which was one of the factors in the BHR ceasing operations South of the river in the 1990s. Ashton Avenue Bridge is on Bristol City Council’s Listed Building At Risk Register. The register describes the bridge as being in a very bad condition with clear signs of structural instability and says the bridge in its current state is at “immediate risk of further rapid deterioration”. English Heritage have been consulted on our plans for the bridge and support the works to conserve it. Pedestrians and cyclists will still to be able to use the bridge after it has been restored. The restoration works include a lane for the MetroBus and a 3.5 metre pedestrian and cycle path that is wider, smoother and a safer environment than the current path. Lighting will also be provided on the bridge, making it a much safer environment for pedestrians and cyclists using the bridge at night. – Repair of corrosion damage which would otherwise compromise the long term durability of the bridge. – Removal of vegetation from piers and the bridge deck. – Removal of temporary repair measures including metal mesh fencing. – Removal of guardrail separating pedestrian walkway from rail line. – Replacement of badly corroded deck plates. – Repairs to trusses to allow drainage modification works which will reduce future corrosion.